Is This Love est une ballade du groupe Whitesnake parue sur leur album éponyme sorti en 1987. 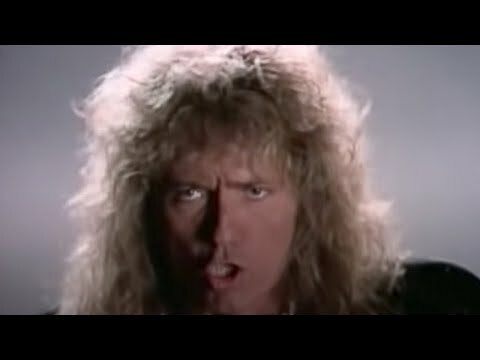 La chanson a été écrite par David Coverdale et John Sykes, on dit que le titre fut à l’origine prévu pour la chanteuse Tina Turner. La chanson a été classée 87e des 100 plus grandes chansons d’amour (Greatest Love Songs) et 10e des plus grandes ballades (Greatest Power Ballads) par la chaîne VH1. Is This Love is a ballad of Whitesnake group appeared on their self-titled album released in 1987. The song was written by David Coverdale and John Sykes, it is said that the title was originally intended for the singer Tina Turner. The song was ranked 87th of the 100 greatest songs of love (Greatest Love Songs) and 10 of the greatest ballads (Greatest Power Ballads) by VH1.